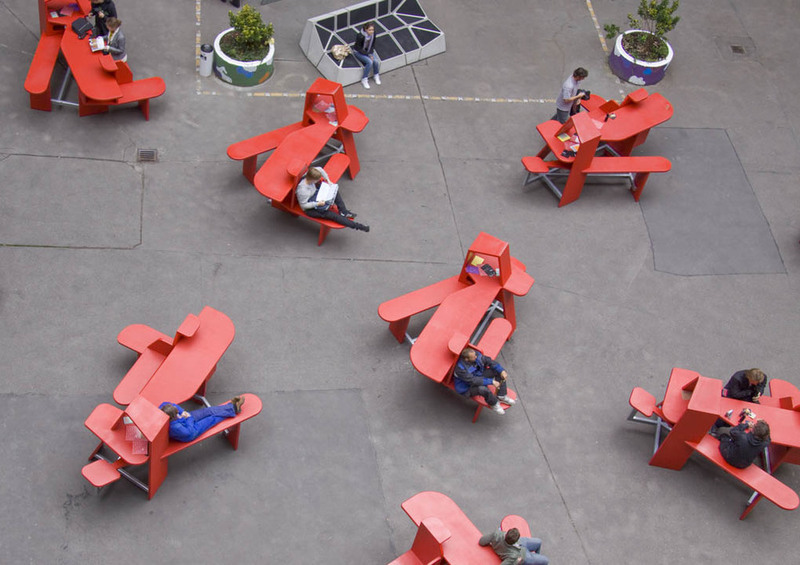 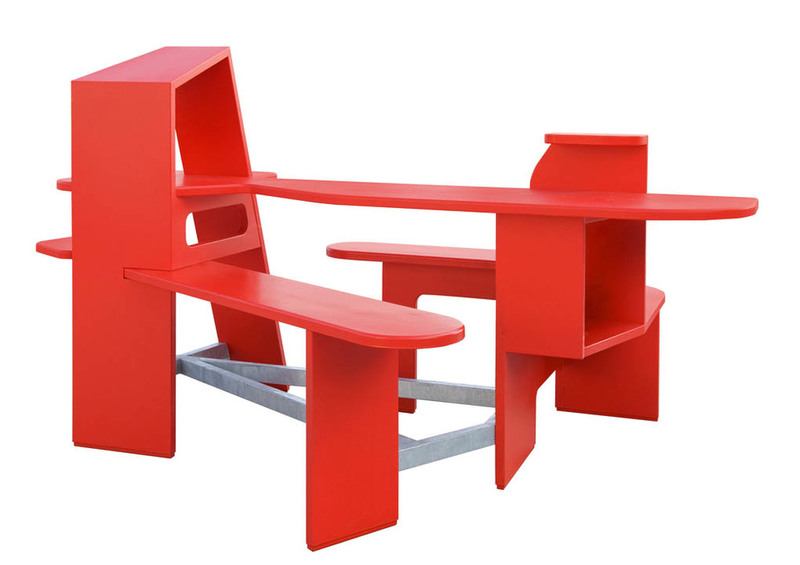 YOU MAY is a new furniture for the urban public space. 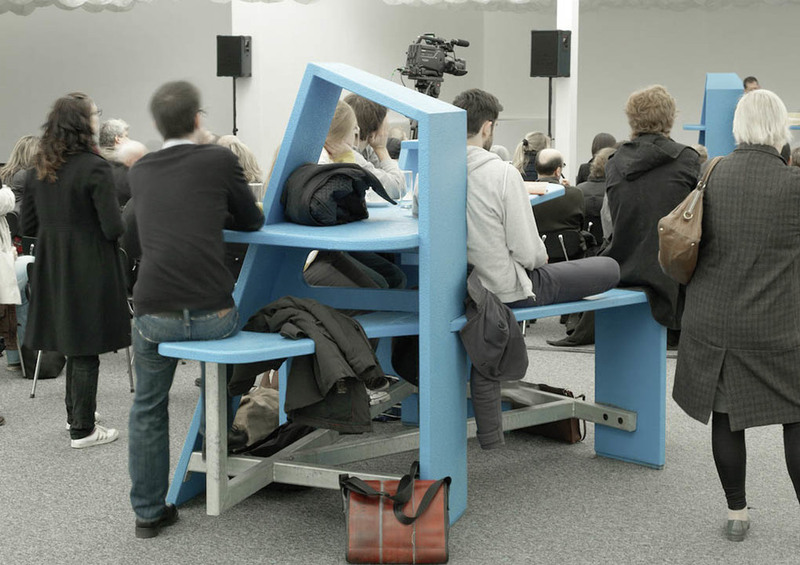 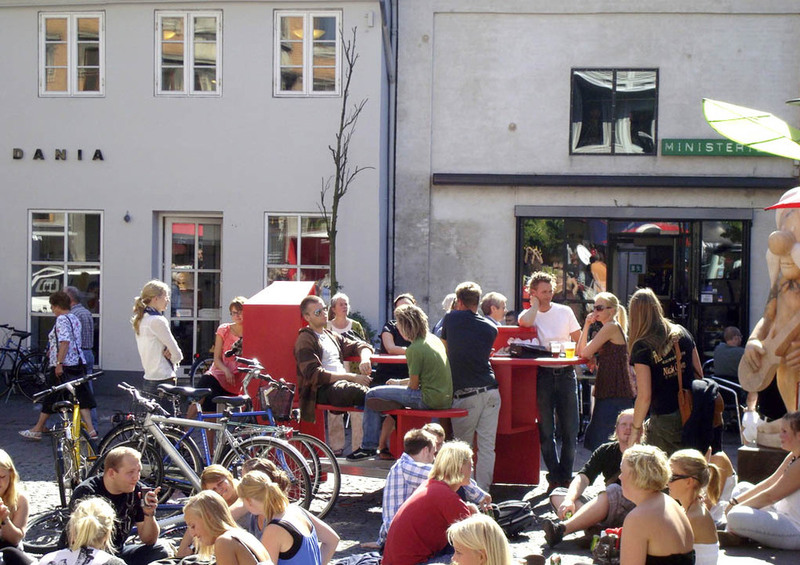 YOU MAY does many things: it is a bar and a bench, conference table and quiet corner at the same time, it functions as a lounge as well as a stage or workspace. 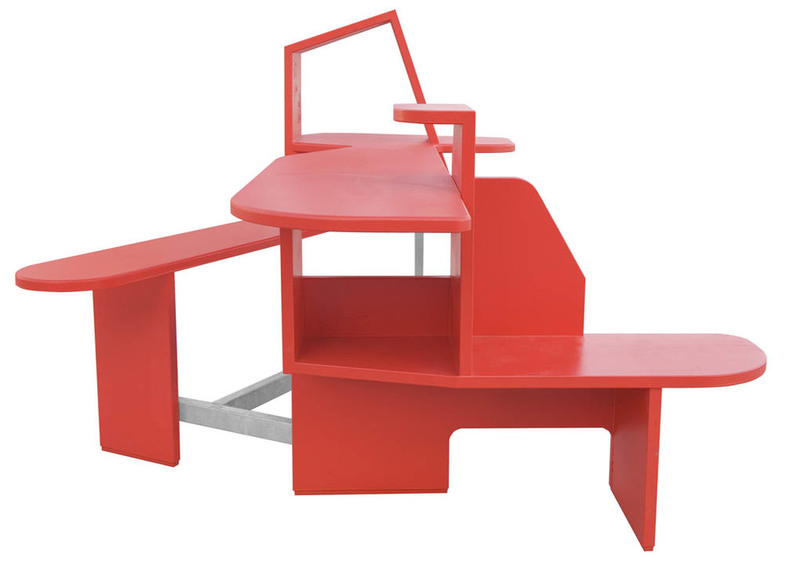 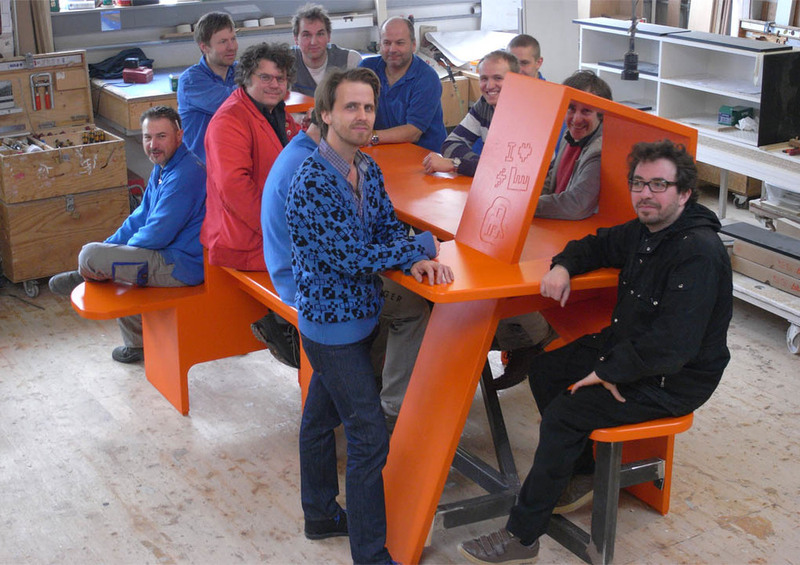 YOU MAY works with innovative materials, different seat heights, it plays with niches and corners. 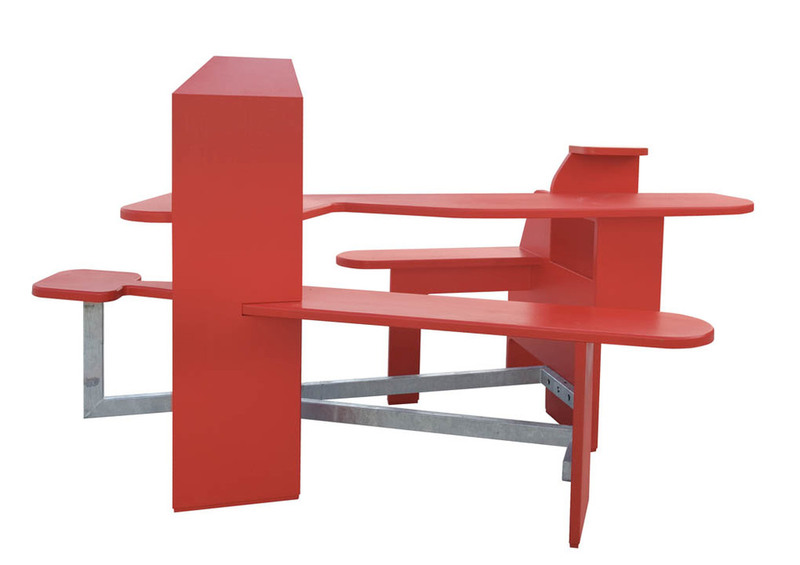 It provides communication and privacy for up to 15 persons at the same spot. 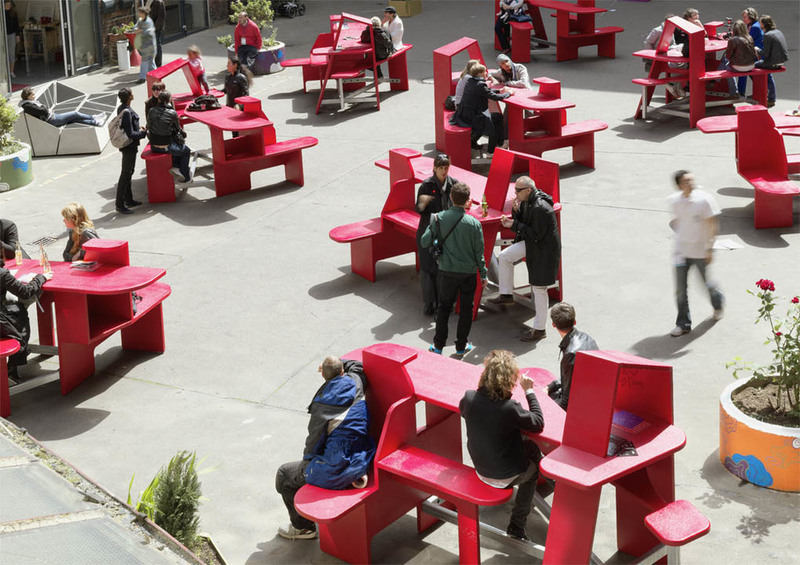 The furniture itself becomes a vivid meeting point, it invites to work, discuss, eat and relax. 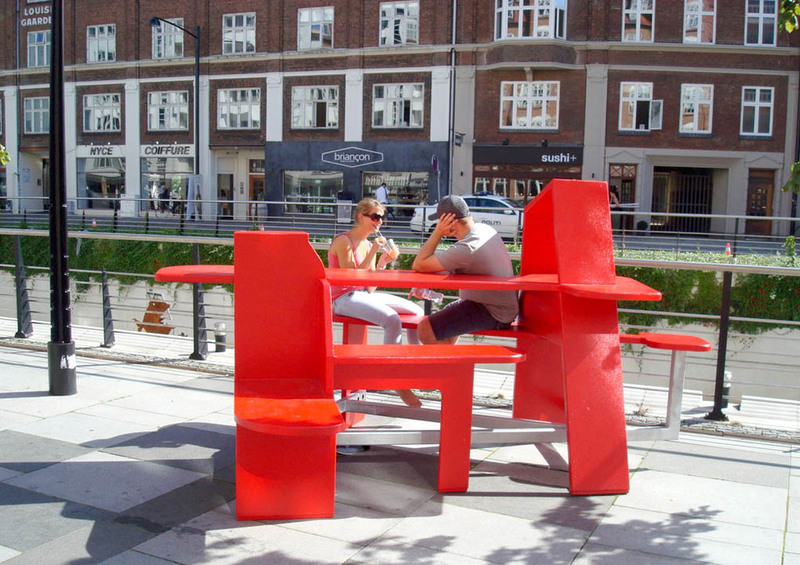 YOU MAY enables the modern, mobile person to much more than just passive relaxing and therefore significantly differs from all current standard furniture for parks and public spaces. 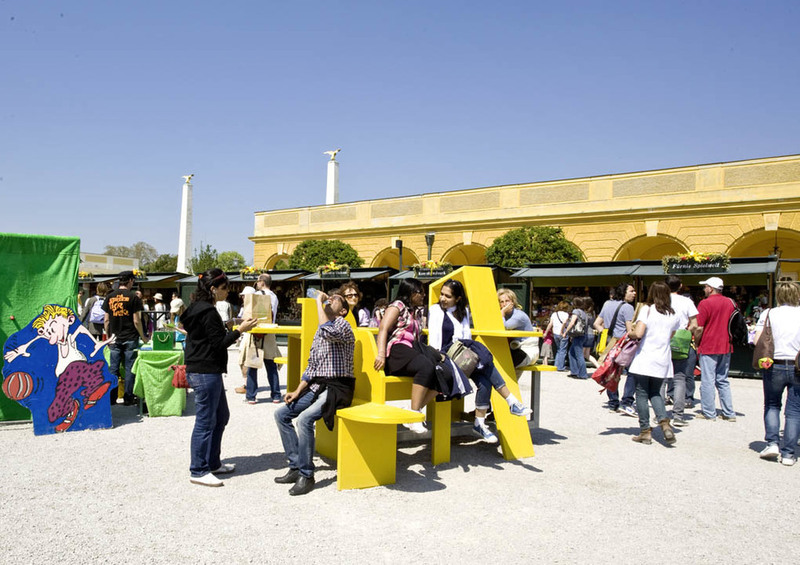 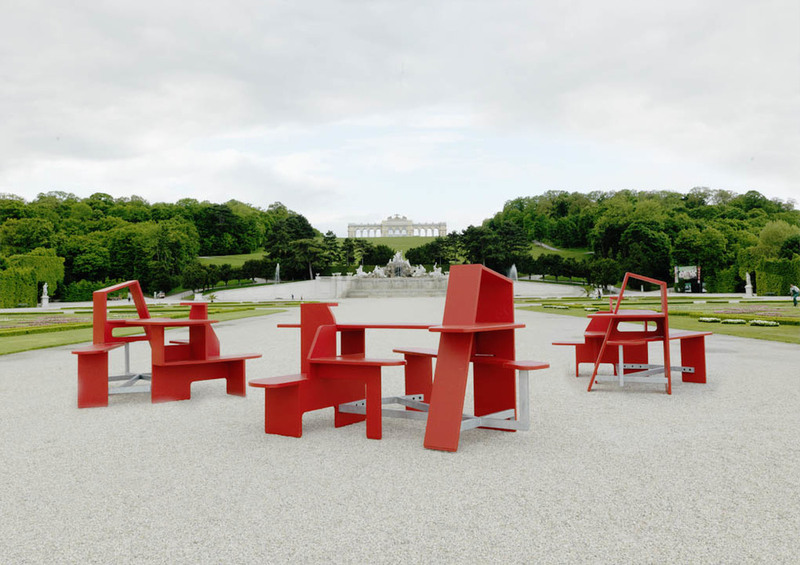 The Vienna based design duo Karl Emilio Pircher & Fidel Peugeot provides mayors, urban planners and residents with a versatile instrument for enhancing the quality of the public space and filling it with a new lively spirit.